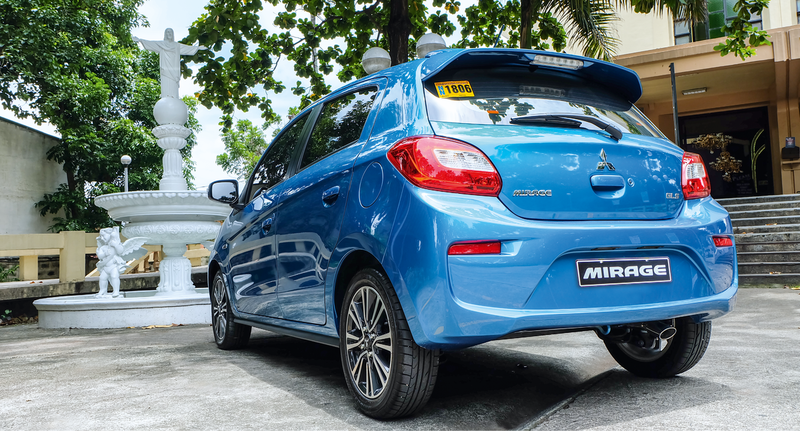 When it was first introduced in the Philippine market, the Mitsubishi Mirage quickly earned accolades for its price-value proposition, winning the coveted 2012-2013 Car of The Year-Philippines title. We tested the 2016 Mirage hatchback that was launched recently, and were quite pleased with the upgrades. 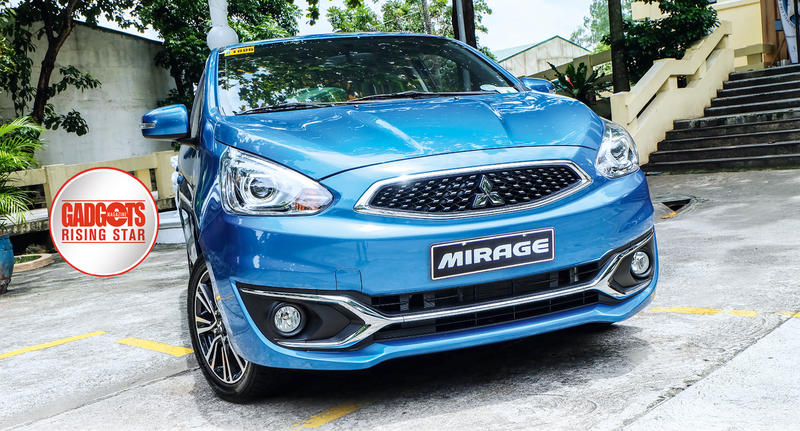 In the looks department, the 2016 Mirage GLS has received a major makeover: in front, a new grille, new sportier bumper, and angular headlights with HID lights and LED daytime running lights; at the side, two-tone alloy wheels; and at the back, LED tail light clusters. With this latest update, the Mirage exudes the confidence of a bestseller. 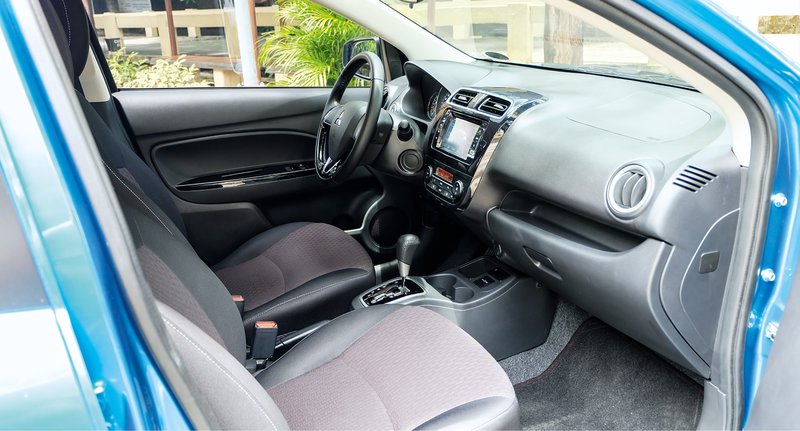 Inside, the top-of-class GLS variant gets all the expected bells and whistles, starting with the white-lit instrument meters, leather steering wheel and shift knob, black high-grade seat fabric, 2-din multimedia/navigation system plus six speakers, and built–in tonneau cover for the cargo area. 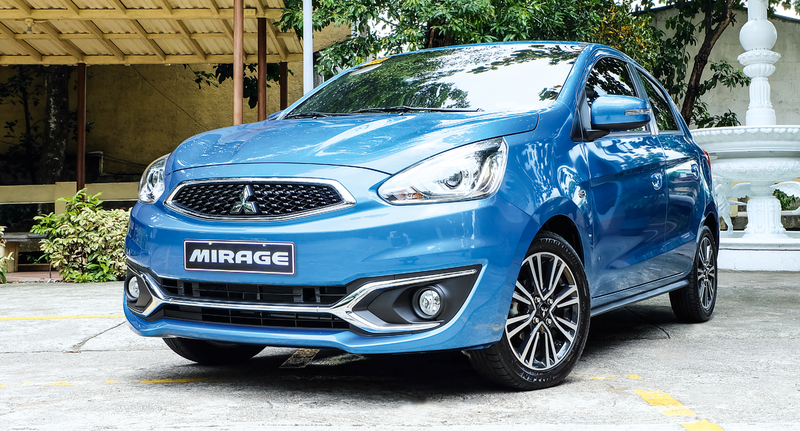 The Mitsubishi Mirage is powered by a 12-valve MIVEC engine with a 1,193 cc displacement, producing 78 ps of power @ 6,000 rpm, and 100 Nm of torque @ 4,000 rpm. It utilizes an electronically controlled multi-point injection system to ensure efficient fuel consumption. Our test unit features a continuously variable transmission (CVT), which delivers smooth operation through the power bands. The suspensions are MacPherson struts with coil springs in front and torsion beams in the rear. The GLS variant also has a stabilizer bar for improved riding comfort. Brakes are front ventilated discs and rear drums. It rides on 175/55 R15 tires mounted on 15-inch two-tone alloy wheels. 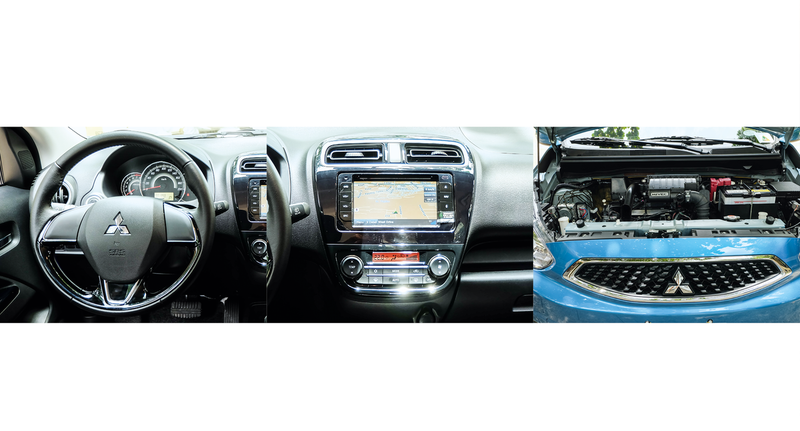 The audio system is a 6.5-inch color touchscreen display with a 2-din single in-dash tuner/player with aux-in, SD card, USB port, Bluetooth connectivity, and six speakers. It has a built-in GPS navigation system that gives you route directions but no traffic information. As to safety, the Mirage has the distinction of receiving the ASEAN NCAP Grand Prix Award for adult occupancy protection in the mini-car category, which should be more than enough assurance that it has the structural integrity and necessary equipment to keep you and your passengers safe. 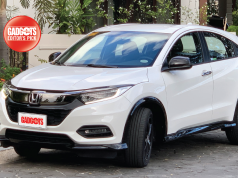 When you step into the Mirage GLS, the initial impression you get is that it’s quite feature rich for a sub-compact, and that it is definitely not your bare, entry level vehicle. First off, it has the convenient keyless entry system so you can lock/unlock the door without taking the key out of your pocket or purse. And the Push-to-Start/Stop button is an amenity normally found in more high-end vehicles. The driver’s seat is comfortable and seat position offers excellent all-around visibility. 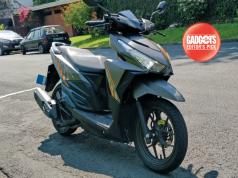 Electric power steering is light and responsive—great for when you’re jockeying for position in heavy traffic, but not when you’re taking a turn at a rather fast clip. At first I thought it was a tendency to oversteer, but it’s more likely the steering doesn’t provide enough road feel. The Mirage GLS is a zippy urbanite that’s perfect for that daily home-work-home commute. It is light, compact, easy-to-drive, and fuel-efficient. 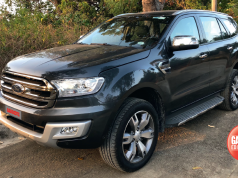 However, it might not be the best choice for long distance road trips as it could feel cramped and weighed down with a full load of four adults and their luggage. Another issue that “drivers” will complain about is the absence of shifting options with the CVT. The shift knob is limited to PRNDB (Park-Reverse-Neutral-Drive-Brake), where B refers to engine braking for those times when you need to drive at low gear. 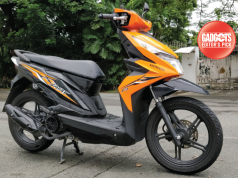 The top of the line variant we tested, the Mirage GLS CVT has a sticker price of PHP 713,000, well above the budget, entry-level category. 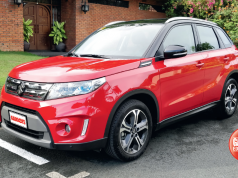 The base model GLX 1.2 MT is still very competitive at PHP 553,000, but is the higher trim level worth the rather large mark-up on the GLS CVT? 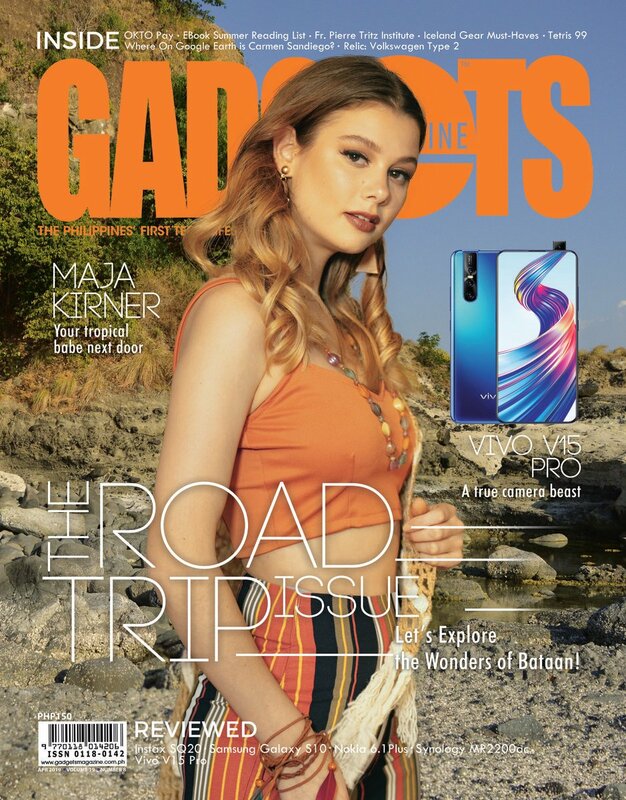 That is a PHP 160,000 question that buyers will have to answer for themselves. 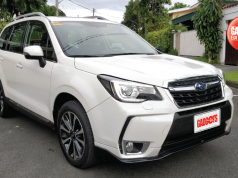 The Mirage GLS CVT is a great urban commuter that makes driving in the metro a little more fun.